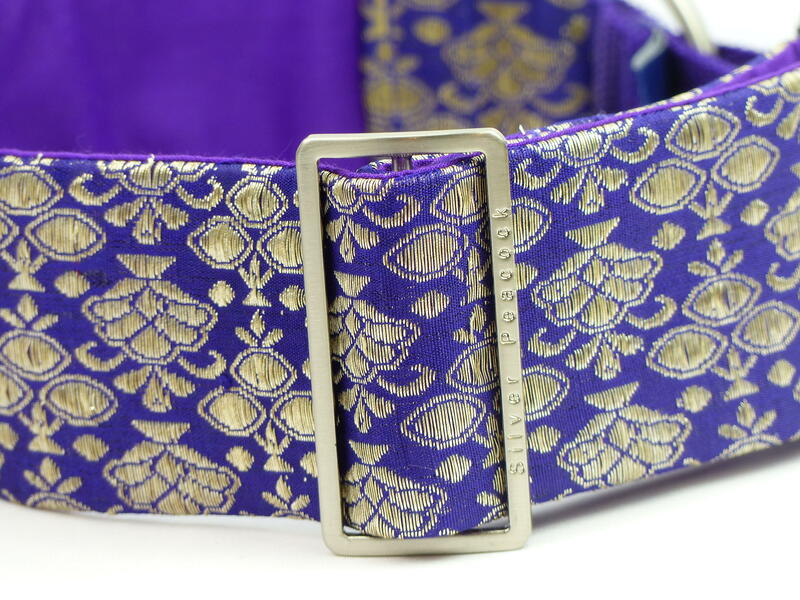 We're so delighted to have this elegant sari fabric. 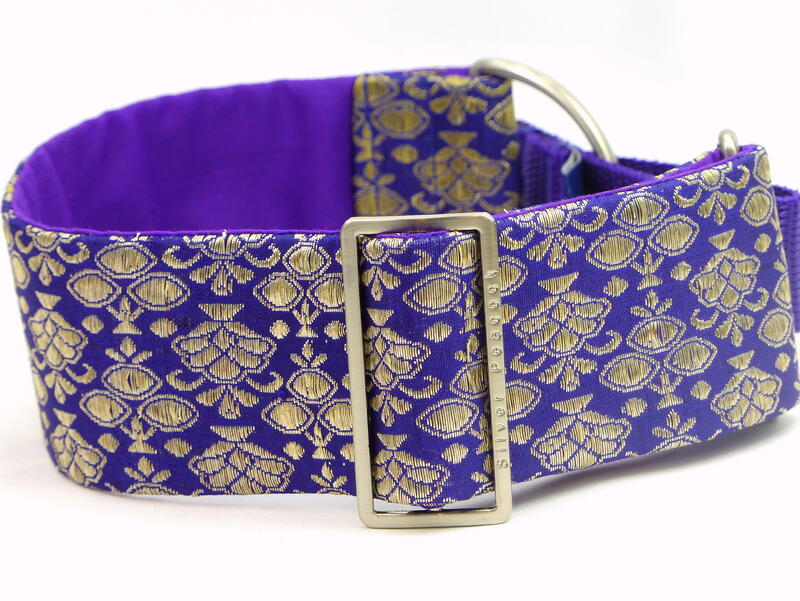 Made from inky dark blue-purple coloured fabric with metallic threads of varying shades in a classic styalised pattern typical of traditional sari designs. 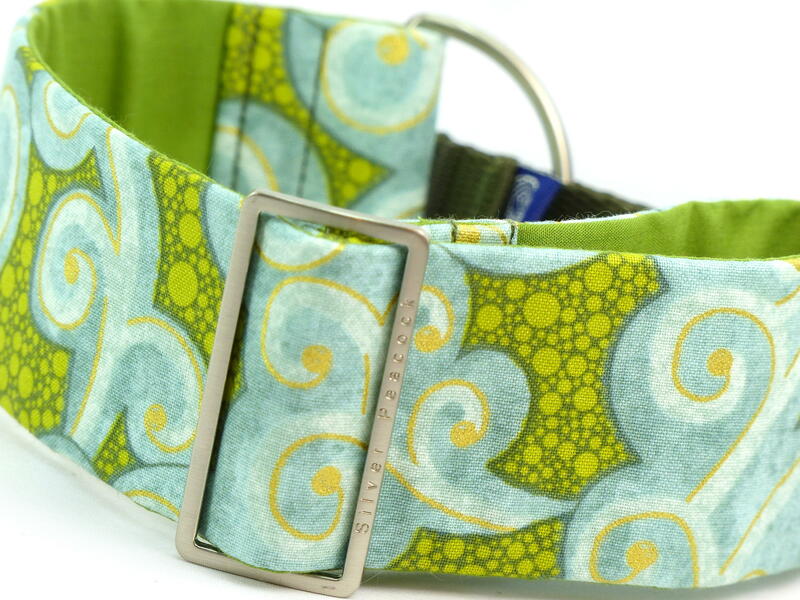 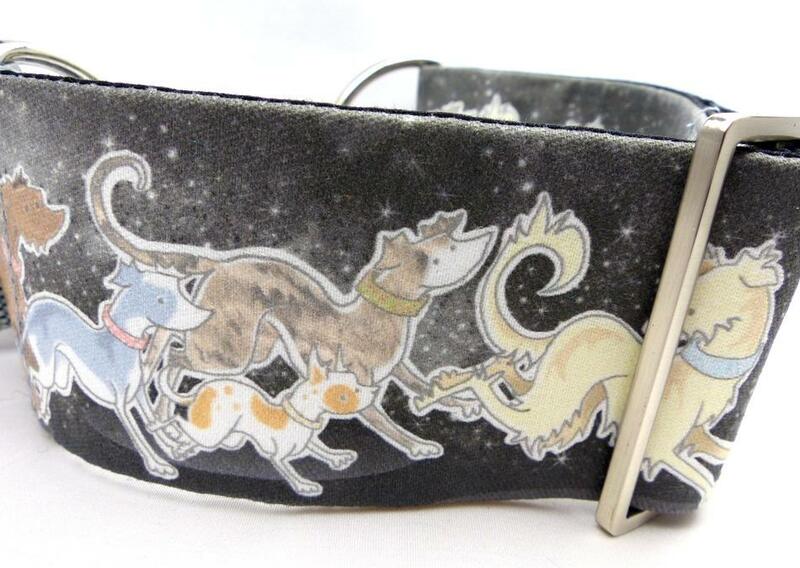 This collar is sure to get your hound noticed particularly on a sunny day when the sun catches all that metallic thread! 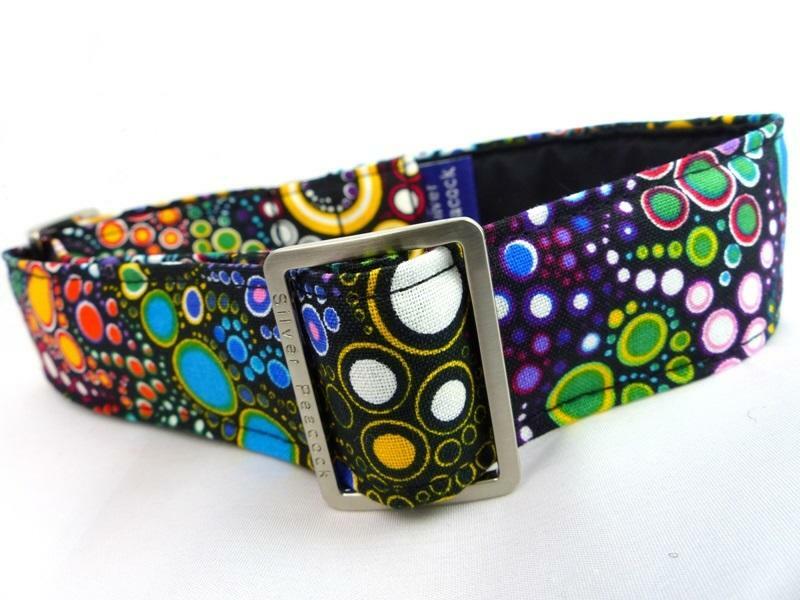 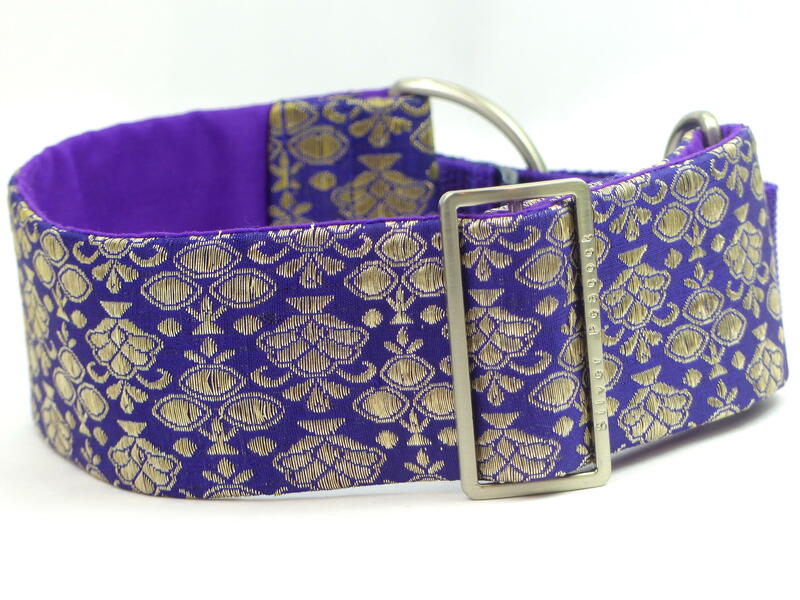 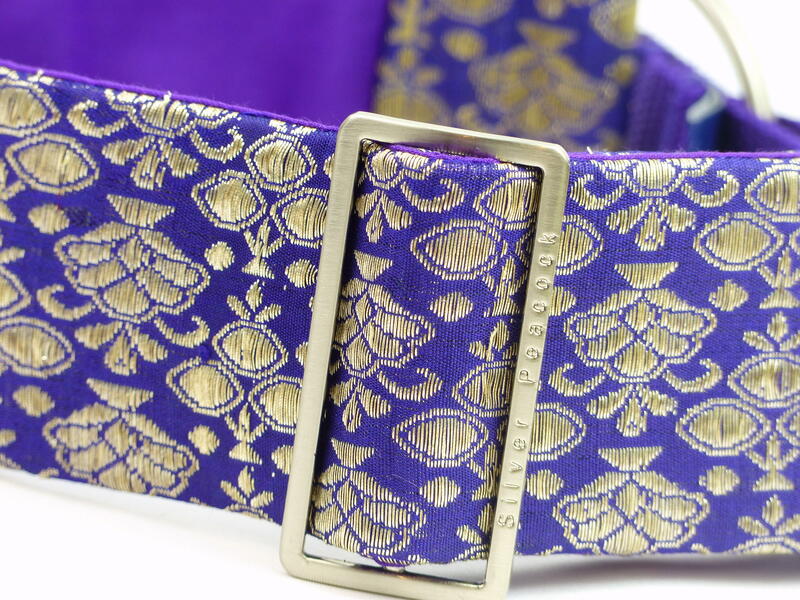 The collar is lined in purple fabric and is finished with our custom designed robust silver coloured hardware and has a purple webbing section.